If you are unable to drop-off your entry, please email info@aaf-orlando.org to make alternate arrangements. No entries will be accepted after 4PM. To be eligible for consideration of an American Advertising Award, all work must have been published or aired between January 1, 2018, and December 31, 2018. Be sure to JOIN or RENEW your membership prior to submitting your work by Entry Day to receive the member discount! The American Advertising Federation-Orlando has selected national advertising industry leaders to judge this year’s Awards Competition, denoting Orlando's national breadth. This year's judges come from a variety of backgrounds and agencies and will be revealed in January. Interested in getting involved with the Orlando ADDYs? Joining the ADDY Committee is a great opportunity to volunteer with your local American Advertising Federation chapter. It's also a chance to network with some very talented industry professionals in your community. Every year the ADDY Committee meets to plan out the entire local ADDY competition. We're always looking for volunteers to help coordinate judges, design and develop the website, facilitate email and social media communications, plan for billboards and other marketing collateral, set up for Gallery Night and of course, plan and execute the Award Gala event. There's something for everyone no matter your skill set. Take a look below to determine where you may best fit. 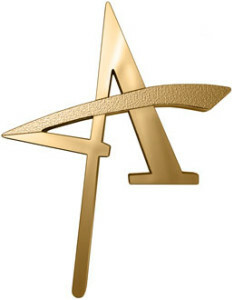 The Entry Committee is responsible for determining deadlines for American Advertising Awards entries, working with the Communications Committee to write and distribute news releases for American Advertising Awards call to entries, event promotion and announcement of the winners and managing entry submissions and help collect entry fees. The Judging Committee selects judges from ad agencies across the country and coordinates travel, food and lodging for the Judging Weekend. This committee is also responsible for scoring and communicating the winners to the Awards Committee. The Communications Committee is responsible for all the creative needed to promote the local American Advertising Awards. This committee will be working closely with all other committees to coordinate news releases, ad and billboard campaigns as well as sending out announcements and news to all members. The Sponsorship Committee will develop, communicate and coordinate sponsorship opportunities for the American Advertising Awards. This is a great opportunity to network and expand the scope of the American Advertising Awards by meeting with professionals across Central Florida and offering them a great opportunity to advertise their business to creative ad agencies here in the Orlando area. The Awards Committee develops and creates the Awards Book, posts the winners online and orders the trophies for the 'Best of' winners. This committee works closely with the Communications and Judging Committees to coordinate printing, mailing and emailing of promotional materials for the American Advertising Awards. This committee is also responsible for creating the Award Show Slideshow that showcases all the local winners. The Gala Committee is great for those involved with Event Planning and Management. The responsibilities of this committee include selecting the award banquet/cocktail hour venue and caterer, help develop sponsorship opportunities, select show theme, décor (centerpieces, decorations, delivery and setup) and menu. The committee will also work closely with the Communications Committee to coordinate design of invitations, along with any other show/promotional materials and coordinate printing, mailing and emailing of materials. At the Gala, the committee members can welcome guests to the American Advertising Awards and coordinate photography at the event and distribute the Awards Book. The Student Committee is responsible for communicating to local graphic design, marketing and advertising students about the American Advertising Awards. Student entries will be judged by local creative directors, so this is a great opportunity for students to show off their work to local ad agencies.